Thanks Yahoo, Konfabulator is now FREE! Konfabulator is now free. Yup. If you download version 2.1 you know what you'll never ever see? That's right a registration reminder. Fear not, there's nothing sneaky in there, no spyware, no ads, nothing that's keeping track of information and sending it to us... it's pure, uncut Konfabulator goodness. Fred has a cool Blog all about the destruction of Political Correctness, and a fine Blog it is. I just hope he is not too late to educate the masses. Seems little girls get arrested for throwing rocks at antagonists, not just arrested, but from a virtual SWAT Team of cowards. Recently James Doohan, at age 85, passed away in his Redmond, Washington home. Best known for his role as Scotty on the famed Star Trek TV Series, his wit and swashbuckling technical skills, kept Captain Kirk and his Crew from certain doom! I have a chance to meet James a few years back, at a local Computer Show. He was not even announced, so it was a surprise to see him sitting in the corner. The crowd was small, since no one knew he would be making an appearance. I went over to get an autograph and talk with him. I told him how great it was to see him on the Star Trek: Next Generation show, and that he did a great job as Scotty. He thanked me. I went on to ask if he really had a negative feeling for William Shatner. He seemed to want to blow into a tirade about "That son of a ..." when his publicist stepped in, and said they had some differences in the past, but look forward to working on joint projects. I hope Shatner and Doohan had a chance to reconcile. None-the-less I enjoyed his character as Scotty, and will now look back at the old shows with kind reverence for him and his family! Fantastic Four Movie - Fantastic! I saw the Fantastic Four Movie this week, and I now know why it is called Fantastic! The movie was a great story, excellent realistic effects, with intermixed comedy, and fun. It had my attention through the whole thing. Sometimes I roll my eyes at the science of these movies, but it was believable, and as realistic as a fantasy movie can be. I urge you to see it, and this one is sure to be one a strong DVD purchase when it is released to home video. By Years End, IBM has decided to finally throw in the towel on OS/2 officially. Many will claim that IBM threw in the towel over 10 years ago. OS/2 was the once flagship competition to Microsoft Operating Systems. It had superior multi-tasking, which was called pre-emptive. This Blogger had the pleasure and displeasure of testing and using OS/2 years ago. It was not all that bad, but had many issues with poor hardware drivers support, and very few available applications. I have always felt that IBM could have gained market had they taken a page from the Linux community, and released the source code. But IBM was more interested in short term profit instead of long term money in support and licensing! Goto the OS/2 BBS site for Some great OS/2 info. Your Weblinksnewsletter.net updates have been a bit slow in coming these last few weeks. Mostly due to work and planned time off for Vacation. Yes, Weblinks faithful, even I take time off to smell the roses. Even more so, I like to smell the surf and the diesel engine smoke. 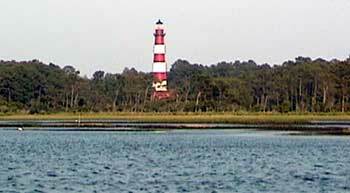 To the Southern end of Delmarva to Assateague Island, in Virginia, what is known as Chincoteague. As far as the Diesel Engine Smoke, you can get a good dose from the Western Maryland Railroad. Both sites were very enjoyable, when I am not walking the Beach or the Rails, I am simply relaxing at home, eating out at local buffets, and sweating to the summer searing heat! Hope your Vacation is as much fun! It seems to me that Americas War on Terror is succeeding! To many this may at first seem strange, however, lets really look at what happened in London. A small bomb was exploded in a double decker bus. No buildings fell, a relatively small amount of people died, even though 1 dead is a terrible count. The large mighty AlQaeda Terrorist forces are weak. They perpetrated something school children could have done with common household chemicals. Seems that if they risk a strike, they would do one worthy of the name Terrorist. Alas, they are shrinking in strength and resolve. Thanks to President Bush for taking the war to the enemy, or this bombing may have been even larger than a pipe bomb. Congrats to the Londoners who have extreme determination, and who have faced truly ruthless attacks from above in World War 2. No doubt that this last attack is but a fly in the ointment of the London people. They have endured much more. "...however many of us you kill, will stop that flight to our city where freedom is strong and where people can live in harmony with one another." Now that is determination, and a glowing view of what Freedom is really all about. Read the whole address at the link above, to the people of London.